July 1, 2018 at 9:47 am. Church administration professionals are called to their roles in much the same way any church leader is called. In order to provide thought leadership and specialized training to these unique professionals, it’s a mindset which must be acknowledged and embraced. 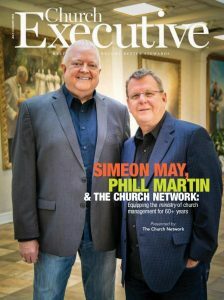 Generally, these special individuals “land” in their roles in one of two ways: from the pew / business world, or from the seminary — something The Church Network CEO Simeon May and Deputy CEO Phill Martin know all too well. After all, they’re prime examples of these two divergent paths. And it’s precisely this varied, in-the-trenches knowledge which has helped them serve association members successfully for more than 20 years. Simeon May came to church administration from the pew. His path began while he was working as a CPA in Dallas. Very active in his local church, May became a deacon and took on other leadership roles, as well. Along the way, he realized that doing CPA work alone wasn’t enough. “Put it this way: I was feeling a higher calling,” So, after talking with his wife (the child of missionaries, raised in Peru), the couple began to pursue missions work. May served in that administrative role for 15 years. Along the way, he joined an organization known then as the National Association of Church Business Administration, or NACBA. (In 2014, it was rebranded to The Church Network [ www.thechurchnetwork.com ]. More details later) He got certified, was accepted to the board of directors and, ultimately, became board president. In 1998, he took on the role of executive director of NACBA, a title that was changed by the board of directors to CEO after May earned the designation Certified Association Executive from the American Society of Association Executives. Phill Martin’s path was different. Since high school, he wanted to be a minister — of music, specifically. In seminary, however, Martin shifted tracks to pursue Christian education; that way, he reasoned, he could serve churches in both music and education. At 34, having earned his seminary degree, Martin landed at a large church in Houston. Though he had no administrative, accounting or facilities management expertise to speak of, four staff members — who had all those responsibilities — reported to him. He began looking around for some help, quickly finding NACBA. In 1988, Martin earned his certification with a project focused on using computer bulletin boards to communicate at the church — a very forward-thinking concept at the time. Soon, he was accepted to the board of directors … and every board member received a dial-in modem so they could communicate by email. Ultimately, the association grew enough to add another executive-level staff member and Martin was hired as the association’s first Director of Education. His title was later changed to Deputy CEO. In 1956, NACBA was established by a group of 45 men and women — all church business administrators — who saw a need to get together and share their knowledge. The organization’s tagline is simple, but all-encompassing: Don’t Go It Alone. Business Administration in 2013, after being introduced to the organization by a co-worker, who was also a member. Today, Dickens serves as president of the Triangle Chapter (Raleigh-Durham area of North Carolina) of The Church Network. 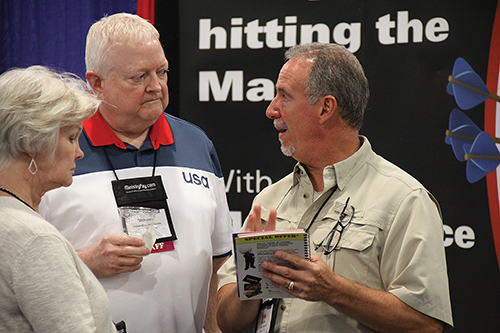 Aside from the day-to-day guidance afforded by the organization, perhaps its most highly regarded offering is the annual conference. The next gathering — the 63rd of its kind — will be held in Charlotte, N.C., in July 2019 [ http://tcnconference.com ]. While a lot has changed in church administration over six decades, one thing hasn’t: The Church Network annual conference was (and is) regarded as one of the only places where administrators, executive pastors — and anyone else tasked with church administration — can get the in-depth, unique, and hard-to-find training they need, day in and day out. 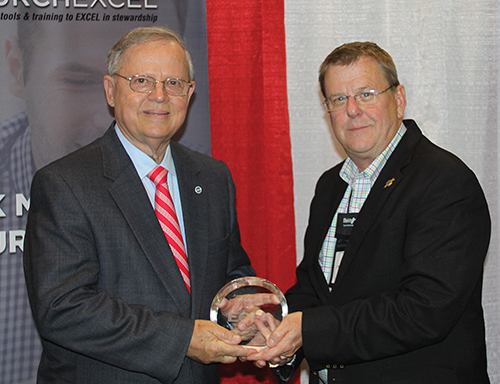 For Jack Taylor, CCA, emeritus member of The Church Network and past president of the board of directors, the conference was what grabbed his attention at first. In March, Taylor retired after 22 years in church administration. His first position was in 1996 at Knox Presbyterian in Cincinnati. On the recommendation of a friend, he joined then-NACBA right away. His last church post was Sycamore Presbyterian Church, also in Cincinnati — and Taylor was still a very active member of The Church Network. Having spent his career in the secular workplace, Taylor says the transition to church work was “like jumping right into a frying pan.” He knew he had to find some resources to get himself up to speed, and fast. To that end, the annual conference emerged as the most rewarding membership benefit. Dr. Mark King, CCA, Conference Treasurer and Director of Administrative Services for Western North Carolina Conference for the United Methodist Church in Charlotte, N.C., has attended 17 annual conferences. For Bill Besalski, Executive Pastor/CFO at The Church at RB in San Diego, what he’s learned at the conference has even translated, literally, to dollars and cents. In 2014, NACBA became The Church Network (TCN), primarily in reaction to the changing job structures and titles for administrative leaders in congregations. Although larger congregations had administrators with pastoral responsibilities, the title did not always reflect that distinction. “In larger churches, there might be an HR director, a chief financial officer, a facility manager, and so on. The roles of church administrative leadership are broken out among various individuals,” May explains. “In a more mid-sized church, however, one person — a parish administrator or executive pastor — wore all those hats. As these changing roles gained traction at churches across the country, the need to demonstrate that the association wasn’t only for individuals with “church administrator” in their title became clear. Martin agrees, pointing out that the organization’s database had more than 600 variations of job titles at the time of the name change. “Some were very clear: ‘business administrator,’ ‘pastor of administration,’ ‘parish administrator,’ and so on,” he says. Sherrie Turner, CCA, SPHR, SHRM-SCP, director of Business Operations at Calvary Chapel Newport News in Newport News, Va. — a TCN member since 2008 — lends a member’s perspective of the shift. For her part, she appreciated and understood the need for a branding change. With the reimagining of the organization’s name came an impetus to broaden the educational scope of everything it does. These daily resources have proven invaluable to Turner, who first learned of the organization from an unlikely source: her church’s software provider. Given the questions Turner was asking, he quickly recommended NACBA as a resource. Ever since, she has made maximum use of TCN’s literature, books, whitepapers, online groups and more — all of them dedicated to solving various challenges she faced as her church grew. Even so, for Belaski, it was the proprietary MinistryPay.com church salary survey that first inspired his TCN membership 15 years ago. At that point, he was developing a salary matrix for his own church staff using MinistryPay.com as a data source. “We’ve included it in our analysis ever since,” he says. For Dr. King, who has a long history with NACBA / TCN (having first heard of the organization in the late 1980s, when he was in seminary), certification training has been a lifesaver. True to form, he earned his Certified Church Administrator (CCA) designation in 1992. Having this advantage has also been a priority for Turner, who earned her CCA designation in 2013. Martin, too, has heeded the expanding complexity of the church administration role. In fact, he says it’s the biggest shift he’s seen in 18 years with TCN. In the next five to 10 years, both he and May expect the administrative function of growing congregations to become more decentralized and, frankly, more similar to for-profit entities. Even so, May and Martin agree that while some people come out of the pew to do this work — and make the transition well — others become frustrated for this very reason. In the next five to 10 years, Martin and May expect church administrative roles to involve more volunteer engagement, a shift driven primarily by the rising cost of employee benefits. May agrees, and says he’s already witnessing this shift in many mainline congregations. Consequently, The Church Network’s educational and training offerings will follow suit. Key and critical to that adaptation: the continued advancement of church administration as a ministry, not just a function. As such, he says The Church Network will strive to clearly articulate the significance of ministry around the role of administration. 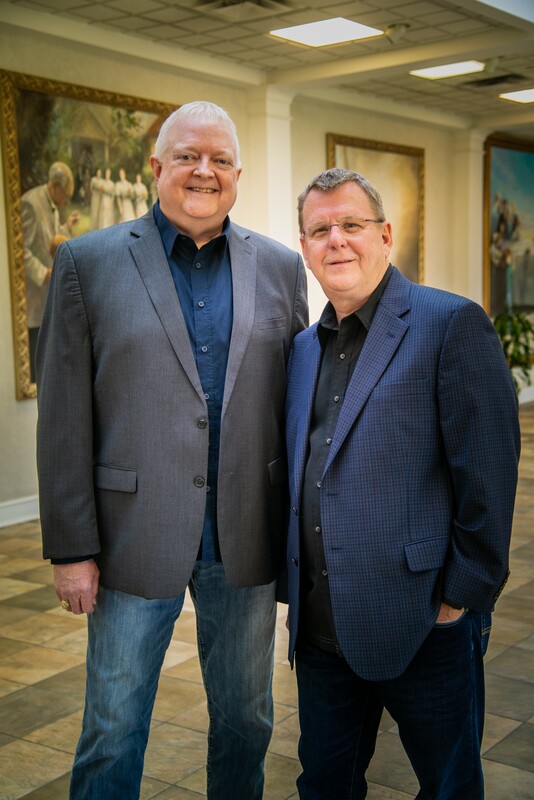 As May, Martin and the TCN team adapt to these changes in church administration, one thing is for sure: their members agree and are in step with them. For Turner, it’s the quality and caliber of information at her fingertips, on a wide variety of topics, that keeps her coming back year after year. Sadly, many churches do not take advantage of Church Business administrators. There is so much knowledge that can be shared and important guidance that would valuable. Funding is an issue in most cases.